This event is full. Thank you! into the world of sound and vibration that will gently guide you into a state of heightened awareness and lasting tranquility. This is a blissful journey of Tibetan singing bowls, gongs, chimes, and indigenous flutes. It also features breathwork, guided imagery, and group chanting to enhance and direct your experience to a higher level. 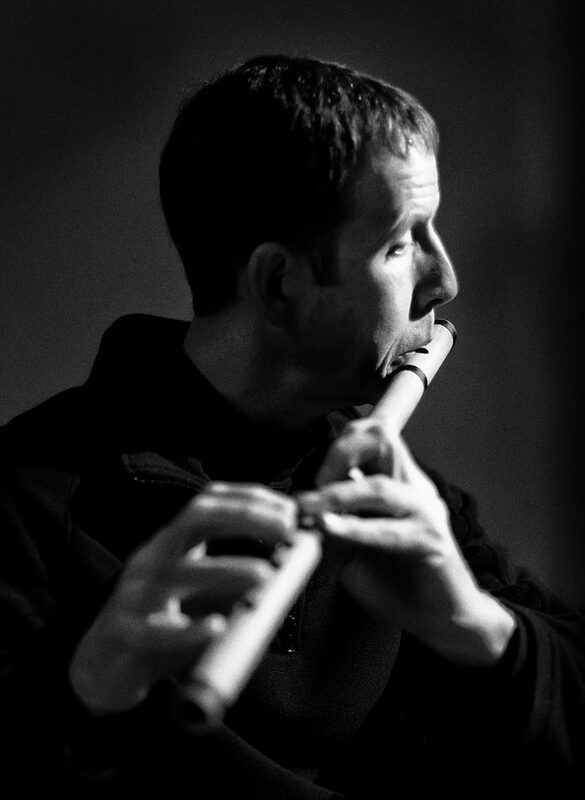 Mark is a lifelong musician and composer, and the founder of Acuity Soundworks, dedicated to the development and presentation of music and sound to inspire creative thought and action. He's a Certified Vibrational Sound Coach and Licensed Spiritual Health Coach. He's received training in Primordial Sound Meditation with Deepak Chopra, traditional shamanic sound practices with Zacciah Blackburn of the Center of Light Institute, and Certification in Sound Healing with Himalayan Singing Bowls from Nepalese Master Teacher Suren Shrestha. 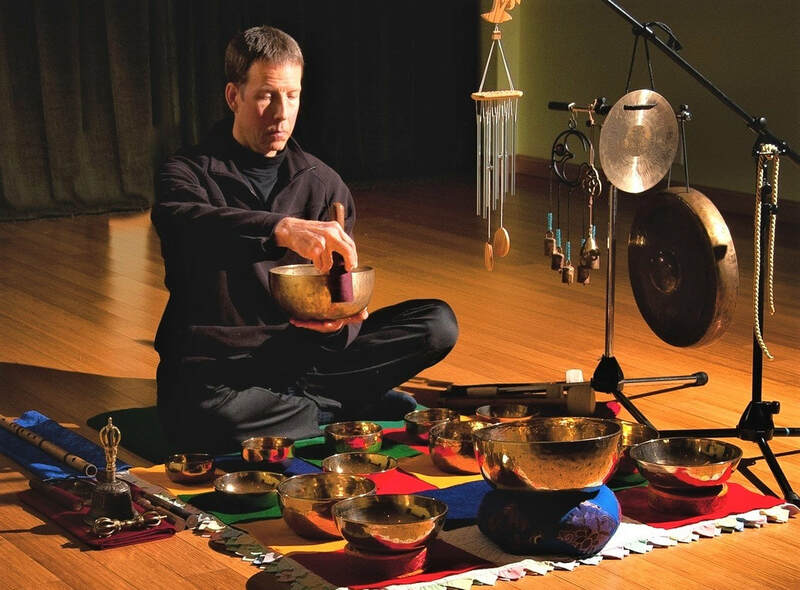 He has nearly fifteen years' experience in sound healing, and offers both private and group sound sessions. He believes sound creates a gateway into deeper levels of consciousness the heart, and soul. Mark Biehl, CVSC, lifelong musician and composer, is the founder of Acuity Soundworks, dedicated to the development and presentation of music to inspire creative thought and action. Mark is a Certified Vibrational Sound Coach, Licensed Spiritual Health Coach, and has received training in Primordial Sound Meditation with Deepak Chopra, traditional shamanic sound practices with Zacciah Blackburn of the Center of Light Institute, and Certification in Sound Healing with Himalayan Singing Bowls from Nepalese Master Teacher Suren Shrestha. Mark has over fifteen years' experience in sound therapy, and offers both group and private sound sessions to the general public. He has led monthly group Tibetan bowl mediation sessions for the Cancer Support Community since 2014, provided services to the Veterans Administration for homeless and substance abuse patients, and holds events at various spiritual centers and yoga facilities throughout the St. Louis area on a regular basis.